From Jargalant Camp follow the trail mostly NE up the mountain slope. It is a difficult climb in places, but not too long, about 2.5 km to the top. At the top the trail enters the forest and continues about 2km before fizzling out. Just before that, you will see an small opening/clearing in the forest on your right side. Ride off the trail, over to the east side of the opening. From here, take a compass line due east about 0.5 km until you cross another well defined trail. You may pick up a very small trail along the way. Just follow it east until you meet up with the more defined trail. Again, don't go more than about 500 meters. Once at the larger trail, go left on this new trail, travel about 1.5 km, and it will lead you to a large opening. This is the top of Zaisan Trail. Proceed out of the NE corner of the opening to pick up Zaisan Trail. It is a technical 3.7 km descent down to Zaisan Camp. Once at Zaisan Camp, you can turn around and return to Jargalant for a total of 20 km, or just pick up the pavement and head directly into Zaisan and UB. Review: It is a good stiff climb up the mountain from Jargalant Camp -- all mostly rideable. On top in the forest you are on a broad ridge initially. You still climb but very gradual along this ridge. It is a very pretty forest, so you can enjoy the nature as you go. At this point you are feeling the wilderness that is Mongolia and it's beauty. It all feels quite remote after you enter the forest. And like all trails in Mongolia, these trails are not groomed. Once you have made it to the second opening, and begin the descent to Zaisan, the tech and gnar really pick up. Go as fast as you like, but be a little careful the first time or two. You can get hurt on this descent. There are also a lot of people on this trail. It is the most used trail in all of Mongolia. So be courteous and friendly as you go. 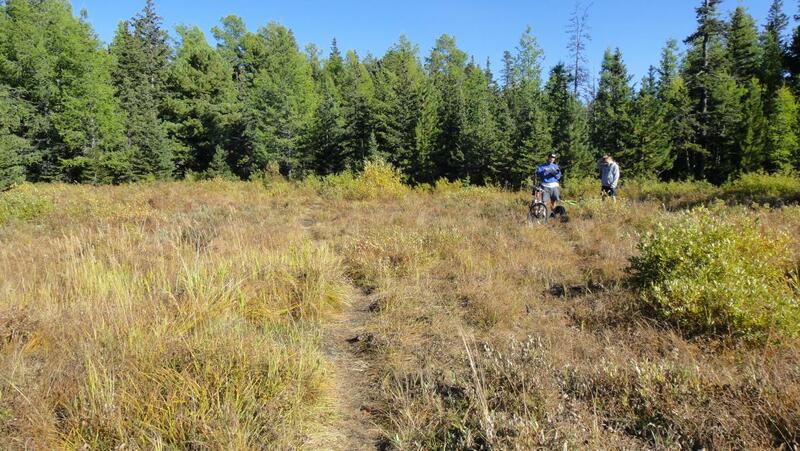 Most Mongolians think it is cool and are a bit amazed maybe that you are riding a bike down a trail like this. Because of the number of people on the weekends, it is probably best not to ride the Zaisan Trail on Saturday or Sunday. There is just way too many people, at least for my tastes. In contrast to Zaisan Trail, you will likely not see a soul on the trail from Jargalant all the way to the second opening. Jargalant to Zaisan MTB Trail 3.00 out of 5 based on 1 ratings. 1 user reviews.